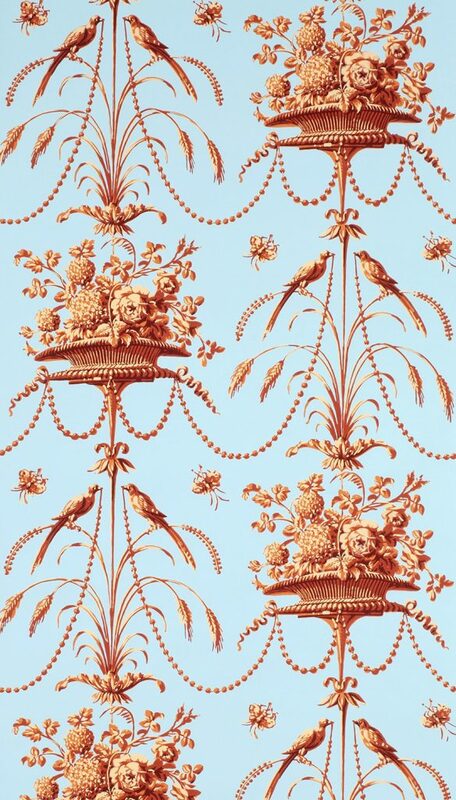 Typical of French papers of the period, this delicate and highly sophisticated pattern uses naturalistic motifs in an arabesque arrangement. The term “Arabesque” refers to the placement of figures with a bilateral symmetry into a columnar format. 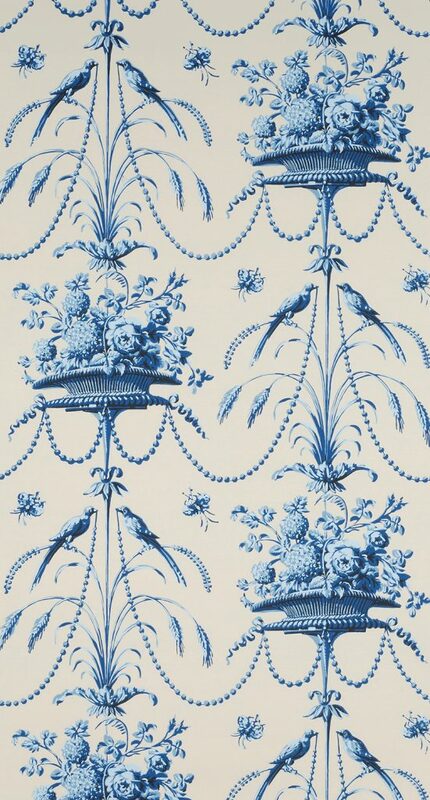 In this case the columns are set in a half-drop of the pattern repeat. 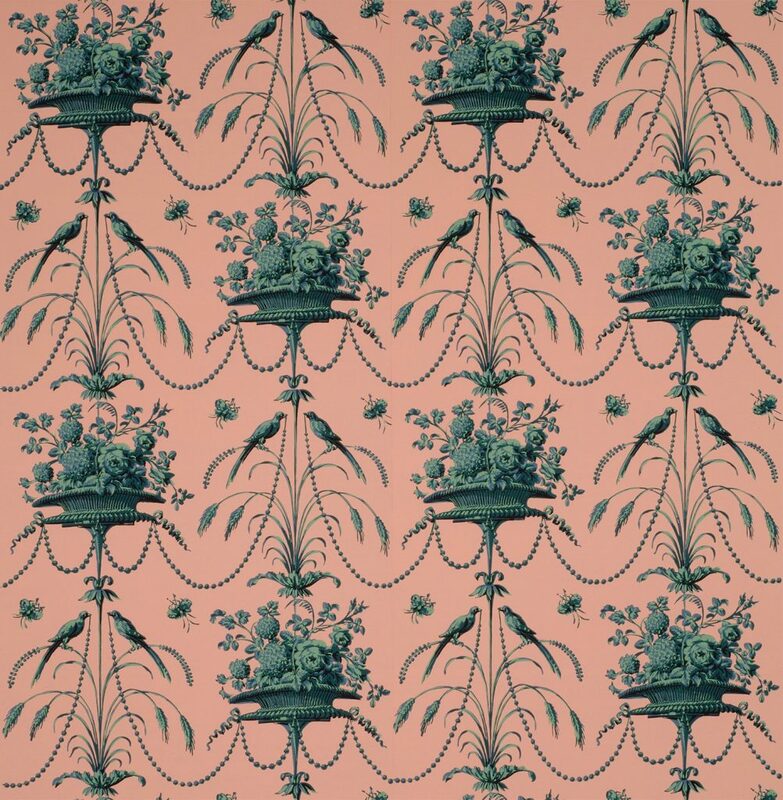 This Parisian arabesque exemplifies the technique of creating volume that French designers mastered in the last quarter of the 18th century. With subtle shading it hints at light and shadow. The document color scheme of greens and black against a coral ground was highly fashionable at this time. 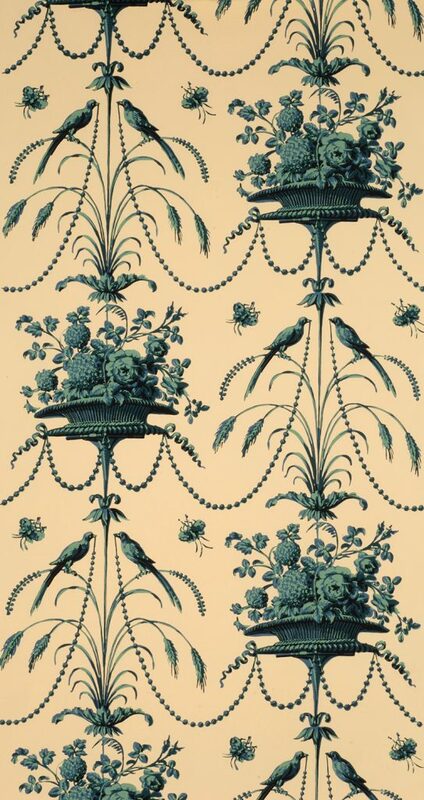 Parakeet and Pearls is suitable for almost any principal room or hallway. 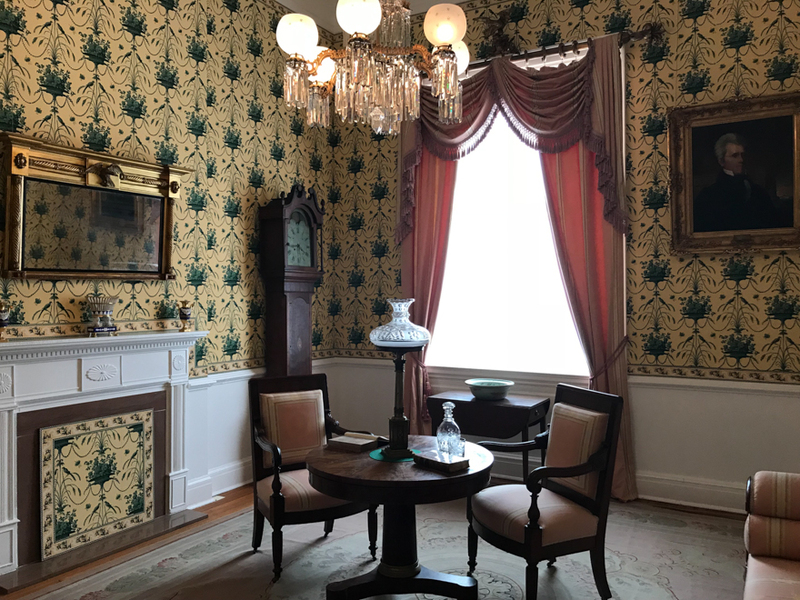 Historically it would have been installed with a narrow border and possibly a wide frieze. Imperial Measurements: Repeat 21 ⅜ inches, width 21 inches, length 11 yards, straight match. Metric Measurements: 54 cm, 53.3 cm, 10 m.